Fall is here! Leaves, cooler weather (hopefully), and crisp mornings. And lastly, because it's time for another Currently! My roommate has been singing the new James Bond theme song's praises for a few weeks ago, and I finally heard it on the radio. Needless to say, I came home and downloaded it on my iTunes. So good!! I think every teacher out there will rejoice with me that our first holiday since Labor Day is almost here! Praise the Lord for a day of rest. Yeah, Christmas shopping. As much as I shudder even thinking about Christmas until AFTER Thanksgiving, I do like to get my shopping done early. And online. Oh, how I love shopping online and avoiding the store madness! Fall weather. Oh how I want it to stick around! It has been gloriously cool in the morning and crisp in the afternoons. Until today. Now it's supposed to be 90F for the next three days. Really?! REALLY?! I'm going on strike. I bought a cute new coat, gosh darn it, and I want to wear it! Canters. Blessed Canters. I need to go. Now. Matzo Ball soup. Bagels. Latkes. Corned Beef Sandwiches. This is definitely a need, not a want! Playing soundtracks in my classroom is one of my favorite things to do. My kids LOVE How to Train Your Dragon, and so do I. It is a fantastic soundtrack. Go get it. Now. I also love pure classical music. It's so calming. Great for those writing benchmarks or concentrating times. 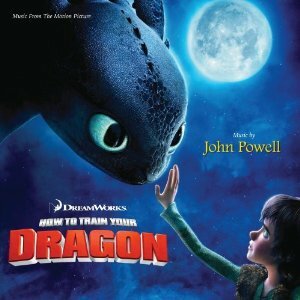 I like playing soundtracks too.I will have to look up how to train your dragon. I'm a new follower and fellow first grade teacher. One of my favorite things about fall is everything pumpkin also with pumpkin pie heading the list. Have a great Sunday ((hugs)). 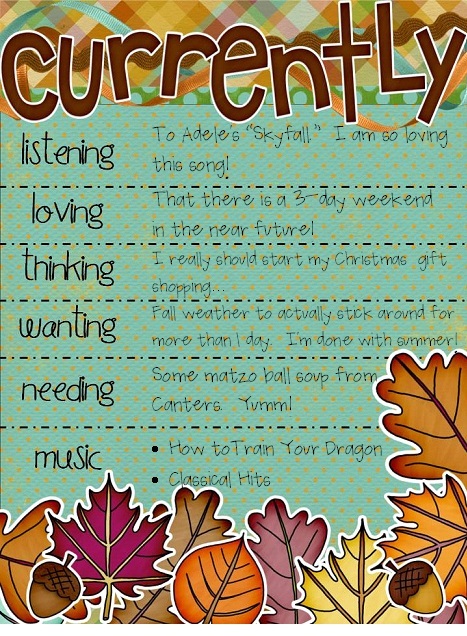 I am so glad I found your blog through this month's currently. Sounds like we may live near one another- 90 degree weather in November and Canter's! Love Canter's!Happy Birthday and enjoy your trip to Boston. I am your newest follower. Happy Birthday!! I knew thought about playing sound tracks but I love that idea!